Home / Blog / How Is Reverse Logistics Used In Order Fulfillment? 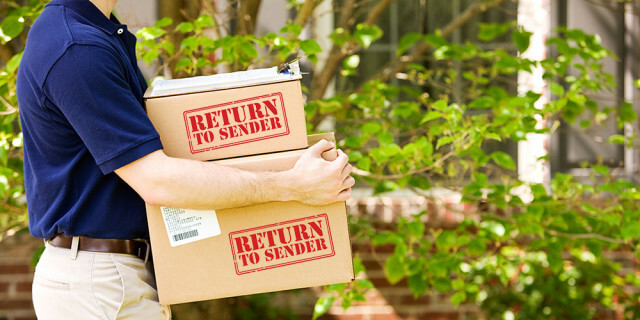 There are a variety of ways in which a business can receive products returned by a customer. The customer may be required to ship a product back or have the option of dropping the product off at a designated location. Some businesses will arrange pickup of the product directly from the customer’s location. A reverse logistics product has likely spent a great deal of time moving through the forward and reverse systems. The longer it stays in this system, the more likely its value is to decline. And the likeliness of the product becoming further damaged increases. This particularly holds true for technology products that, even as new, are dating by the minute with new developments right behind them. Supplier agreements should specifically address what should happen with returned products and what party will be responsible for covering costs incurred throughout the reverse logistics process. This can also be referred to as swell allowance or an adjustable rate policy which means the customer does not physically return the product but instead takes a credit allowance from the supplier. Manufacturers allocate retailers a small percentage for credit to cover items that are unsaleable. These products are then disposed of by the retailer. A warehouse typically has a large storage space where products are held or disposed of properly. Tracking devices use automated processes to tag, track and store the returned product. This is the process of sorting products as their returned based on their condition or quality. Products in need of repair will be sent back to the business while others are sold as used or defective merchandise. Others will be sold as scrap. Repaired products may be returned to the customer or resold. Cost effective repairs can enable the reverse logistics center to actually become a profit center. The business model of many third party reverse logistics providers is based on selling refurbished products at high markups. Some will even provide warranties on refurbished products. In addition to the revenue, this secondary market also benefits by diverting a large volume of products from landfills and creating numerous jobs and enormous environmental and economic benefits. This secondary market represents approximately 2.28% of the U.S. Gross Domestic Product (GDP). For industries susceptible to recalls, part of designing an effective returns management process is to develop a procedure for informing the customer quickly and transparently about a recall and handling the return efficiently. Surprisingly, many customers become even more loyal after a recall experience if it is handled well. Most customers just want to know they will be taken care of through their entire experience by a company they can trust. Mishandling a recall can be extremely damaging to a manufacturer’s reputation and a poor example of risk management. Those companies that manage it well see it as an opportunity to create even greater brand loyalty. When a returned product is refurbished and sold to a new customer, the reverse logistics provider becomes the new seller of the product. After sales support can include servicing the product, answering product questions and providing an annual maintenance contract which is required for products resold. Reverse logistics involves disposing of unusable returned products. Legislation in this area is every changing and as a result, a third party reverse logistics specialist is often in a better position to dispose of these products in a compliant manner. Proper end of product life management for electronics waste or e-waste requires companies to adhere to current regulations. Over 25 states have e-waste regulations of which most have Extended Producer Responsibility Regulations. In addition, California has an Advanced Disposal Fee program. Products must be disposed of in accordance with their state’s regulation. This helps to safeguard against products being exported to developing countries which is against the law in these countries. Product disposition involves selling off product to salvage brokers who buy in bulk at a fraction of the product’s original cost. The product may be resold to a series of brokers before it is ultimately sold to a consumer. Some products may end up at auctions, factory outlets, value retailers or even shipped offshore. The reverse logistics process is charged with ridding unwanted product ultimately out of the network while contributing as much to profitability as possible. Often businesses outsource reverse logistics to a third party provider. Some of these organizations specialize in receiving products from customers, refurbishing them and selling them at deep discounts. The markups even tend to be higher than the original markup of the new product. Often reverse logistics is more time sensitive than getting the product out to the customer new since there is a risk of the product becoming obsolete. One of the reasons businesses often outsource reverse logistics is so they don’t have to take on the additional costs for proof of secure disposal. It is only in the past decade or so that reverse logistics has gained more attention. The volume of product returns ranges between 3% to as high as 50% of total shipments across all industries which can take up 3% to 5% of total revenue. Often viewed as a headache, the neglect of emphasis on reverse logistics actually opens an opportunity to build customer loyalty for a business. Companies and their supply chain managers can no longer afford to treat reverse logistics as an afterthought. There is just too much at stake in terms of brand protection, sustainability requirements and ultimately profitability. Leaders realize that a product’s success often depends on how the end result is managed. They also realize that properly managing their reverse logistics can not only reduce costs, but increase revenues. According to the Reverse Logistics Association, the volume of returns annually is estimated to be 150 to 200 billion at cost which represents approximately .7% of the GNP and 6% of the Census Bureau’s estimated 3.5 trillion total U.S. annual retail sales. Companies should put measures in place for return rates, tracing returns back to the root cause, the amount of product to be reclaimed and resold or recycled. Supply Chain 247 lists metrics that will provide an overview of your reverse logistics process as it relates to your entire business. Percentage of Recycled Material – are all products recycled properly? Waste Reduction – To minimize waste streams. Percentage of Recovered Cost – efficiency across facilities. Distance Traveled – Reduce miles product travels during the reverse logistics process. Energy Used – How much energy is used during the cycle. Total Cost of Ownership – Cost of ownership in relation to originally acquiring the product, reselling it, accepting it returned and moving it through a secondary market or placing it in a landfill. There are certainly more tedious process in reverse logistics compared to forward logistics but when both have procedures in place to service the customer the right way, it can help make your company run more efficiently, capitalize on an additional profit center, reduce waste and build a long lasting relationship with your customer base that will result in even more business through referrals.